please contact The Sequel Bookstore in Enumclaw, Washington! Or call the University Book Store at 206-545-4363 to order. Free shipping in the U.S.! Full SLJ Review: GROGAN, Shannon. From Where I Watch You. Jacket Synopsis: Sixteen-year-old Kara is about to realize her dream of becoming a professional baker. Beautifully designed and piped, her cookies are masterpieces, but also her ticket out of rainy Seattle—if she wins the upcoming national baking competition and its scholarship prize to culinary school in California. Kara can no longer stand the home where her family lived, laughed, and ultimately imploded after her mean-spirited big sister Kellen died in a drowning accident. Kara’s dad has since fled, and her mom has turned from high-powered attorney into a nutty holy-rolling Christian fundamentalist peddling “Soul Soup” in the family café. All Kara has left are memories of better times. But the past holds many secrets, and they come to light as Kara faces a secret terror. Someone is leaving her handwritten notes. Someone who knows exactly where she is and what she’s doing. As they lead her to piece together the events that preceded Kellen’s terrible, life-changing betrayal years before, she starts to catch glimpses of her dead sister: an unwelcome ghost in filthy Ugg boots. If Kara doesn’t figure out who her stalker is, and soon, she could lose everything. Her chance of escape. The boy she’s beginning to love and trust. And even her life. 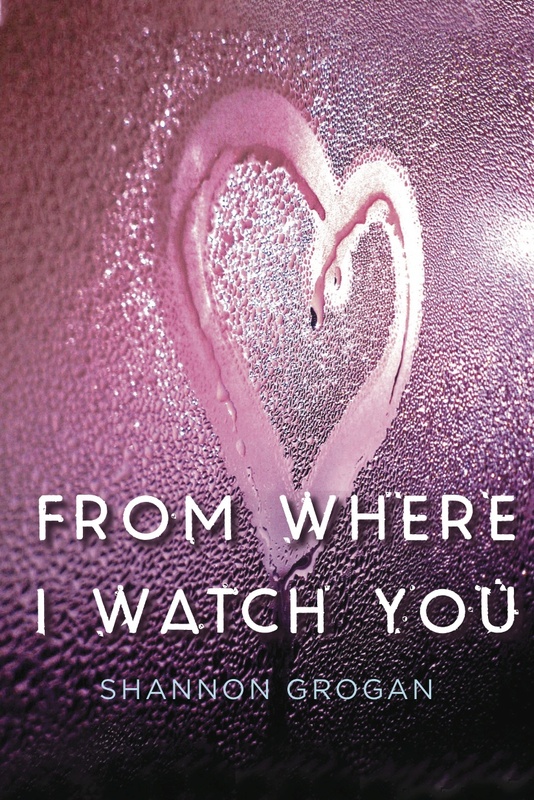 Dan Ehrenhaft at Soho Teen has acquired From Where I Watch You, a debut YA novel by Shannon Grogan. The story is about a girl who dreams of becoming a professional baker, but finds herself haunted by the ghost of her dead sister and pursued by a mystery stalker whose cryptic notes suggest he knows far too much about her. Publication is planned for spring 2015. Sarah Davies at the Greenhouse Literary Agency negotiated the deal for North American rights, including film and TV.